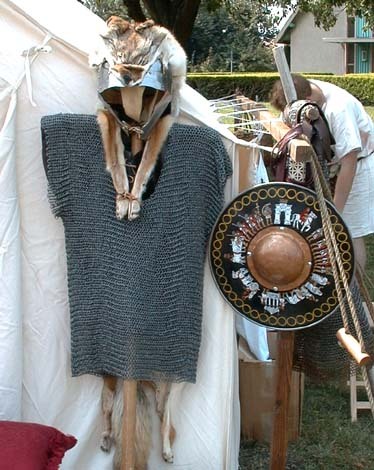 - This hamata, or Roman mail was in use both before and after the appearance of the segmented lorica. As it is illegal to own a wolf skin in California, the coyote skin is worn on the signifer, or standard - bearer's helmet. This hamata, or Roman mail was in use both before and after the appearance of the segmented lorica. As it is illegal to own a wolf skin in California, the coyote skin is worn on the signifer, or standard - bearer's helmet.